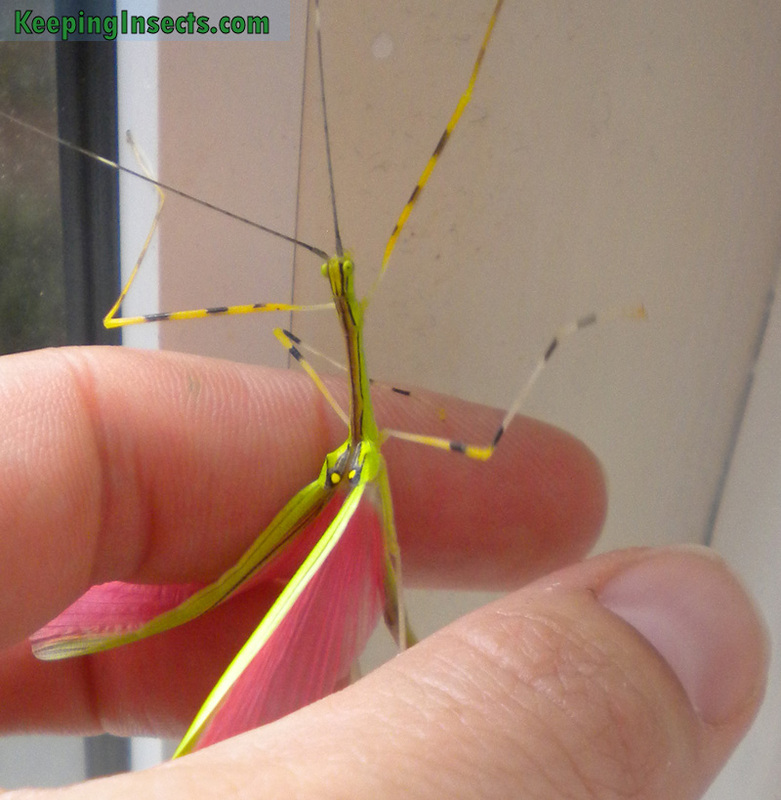 a mantis fly! 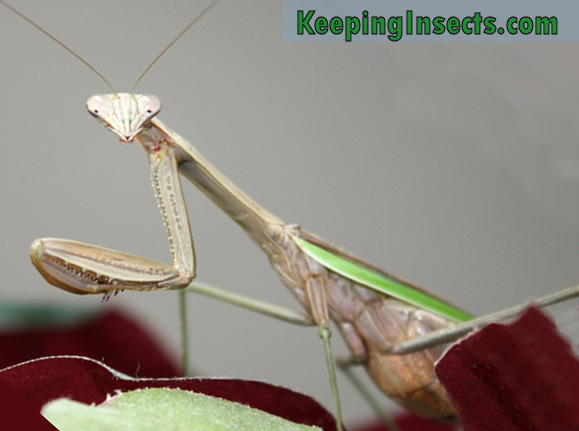 The Latin name of the family is Mantispidae. 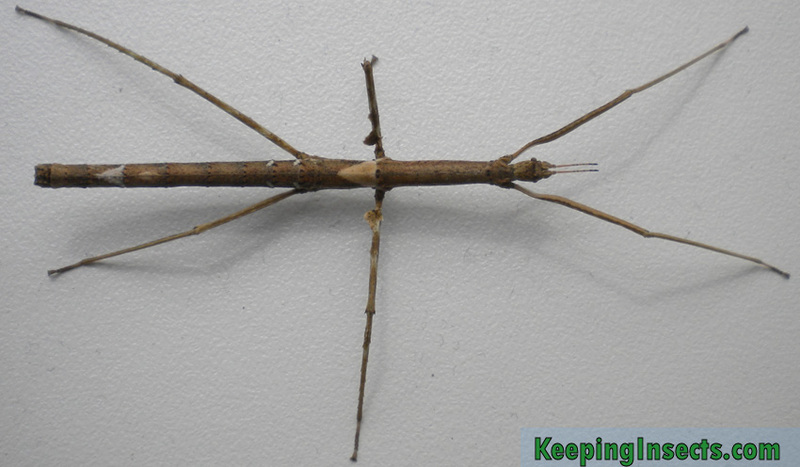 It took me a couple of looks to figure out what this creature is. 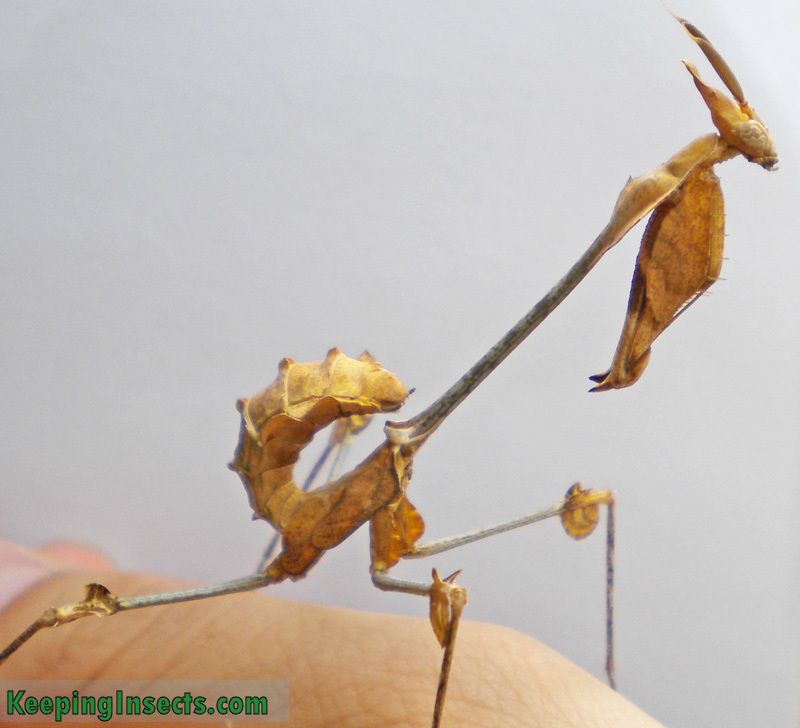 It looks like a mantis, but not quite right. 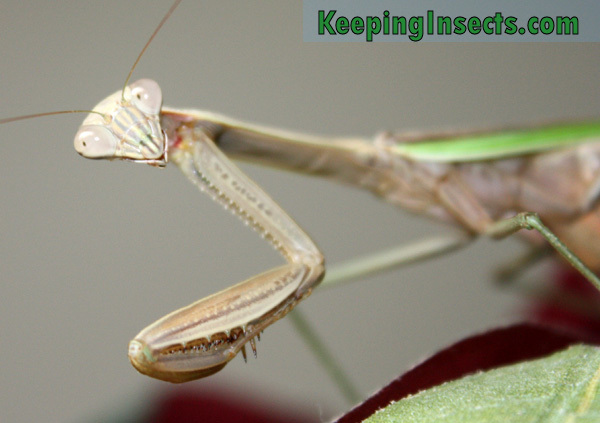 Its head, its antennae, the upright single set of wings and the way the front arms fold don’t make sense for a mantis. 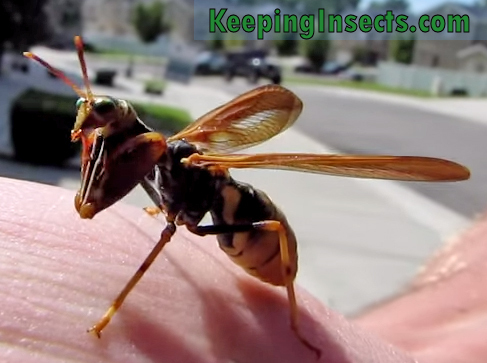 The colors make it look like a wasp, but that is just mimicry. By looking like a wasp it discourages predators to attack it they have learned that wasps sting. 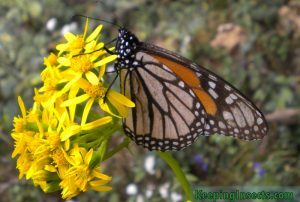 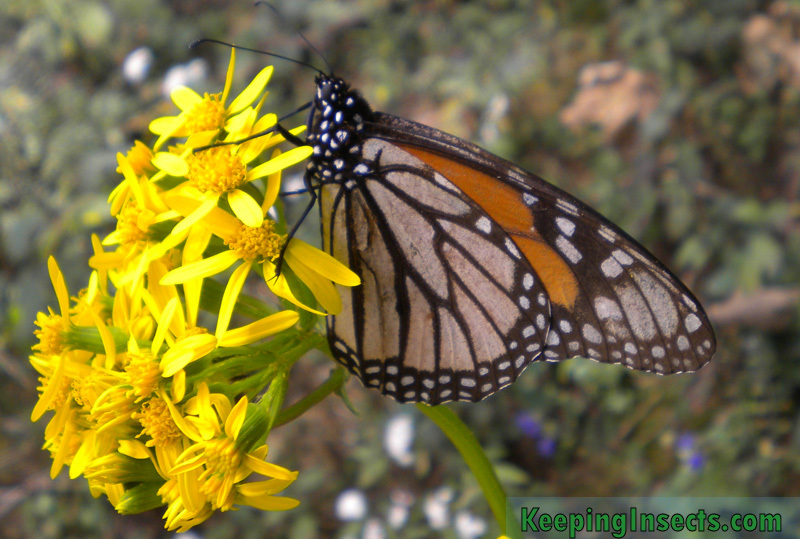 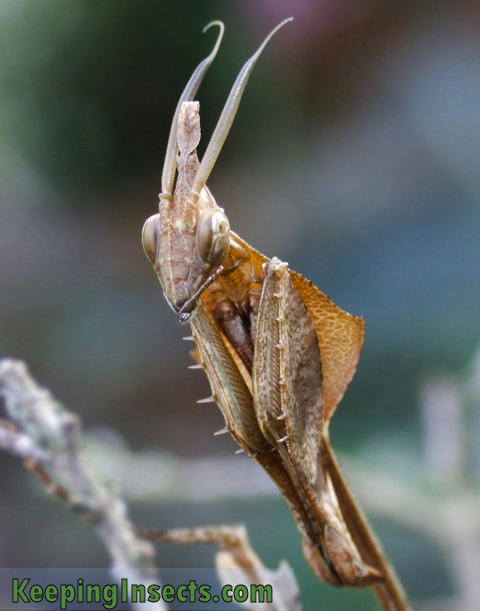 A mantisfly or mantidfly is related to lacewings. 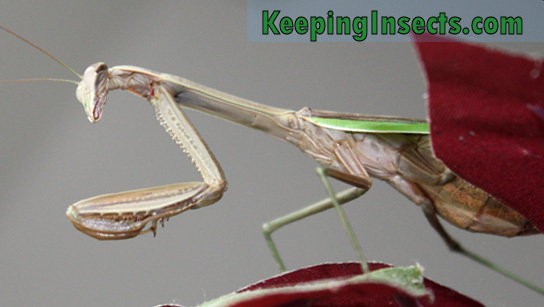 Its only very distantly related to a praying mantis. 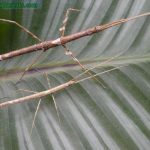 The shape of the front legs has developed separately in mantids and mantisflies, making it a nice case of convergent evolution. 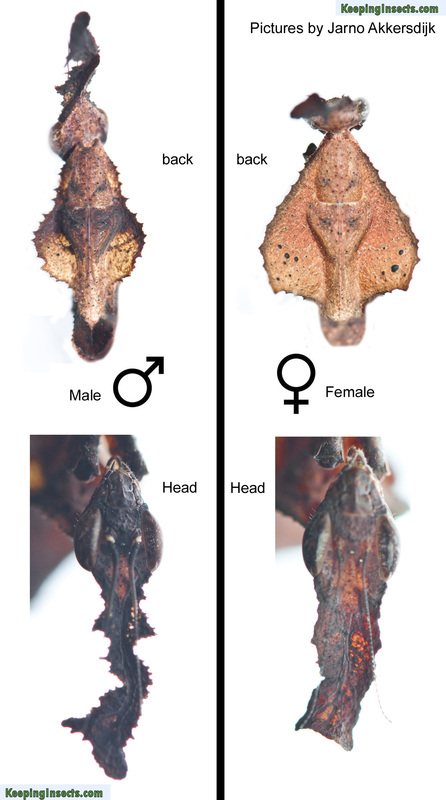 Both groups of species have developed the raptorial front legs as a way to catch prey. 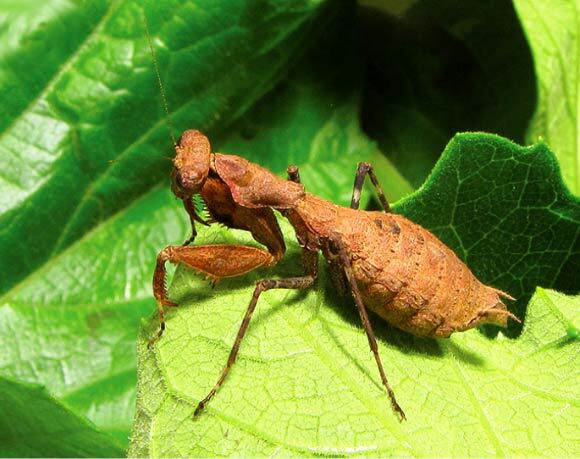 Apparently this “design” is the most functional for insects that catch prey using their vision and their front legs. 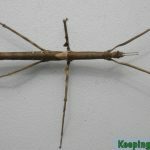 Check out the video to know what I’m talking about. 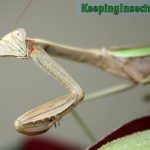 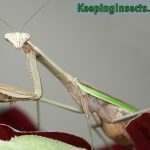 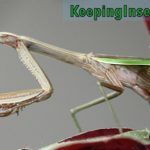 I added a new page to the website, it’s about the Chinese Mantis. 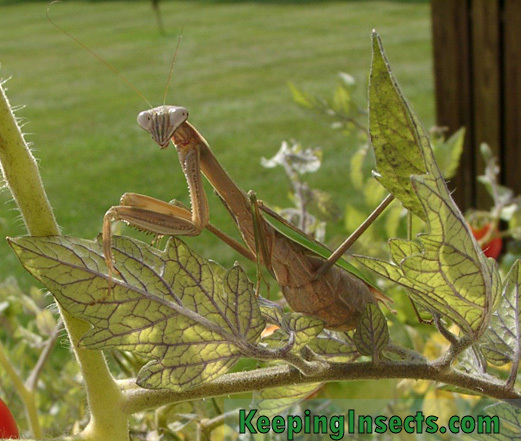 It is a very common mantis in the United States. 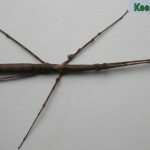 It also occurs in China and other parts of Asia. 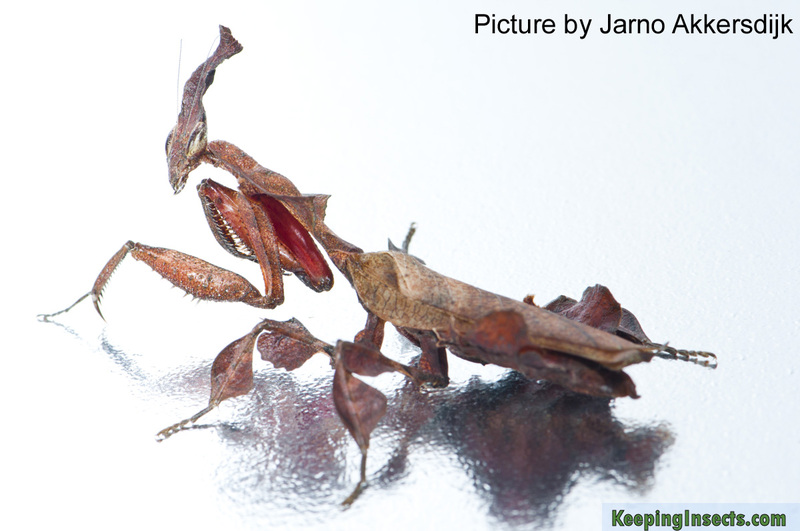 Right now, in the fall, this mantis species can be found as adults in the United States. 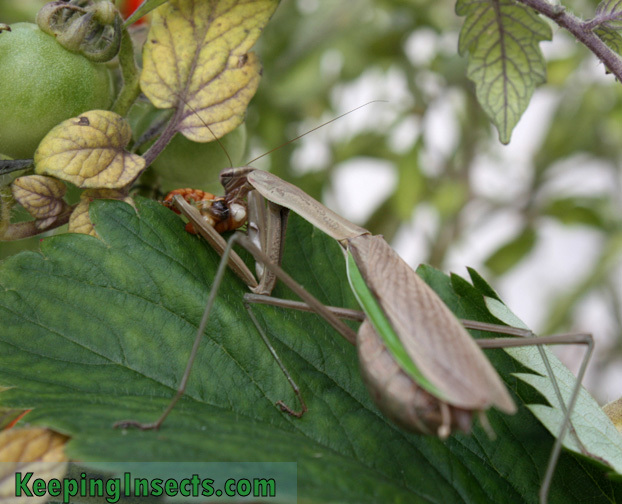 The females are depositing their eggs. 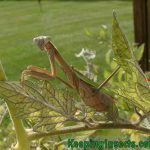 When first frost arrives the adult Chinese Mantises will die. 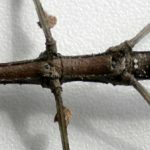 The species continues as eggs. 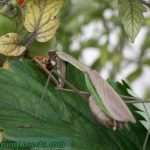 Next spring the eggs will hatch and populate gardens and field with young mantis nymphs. 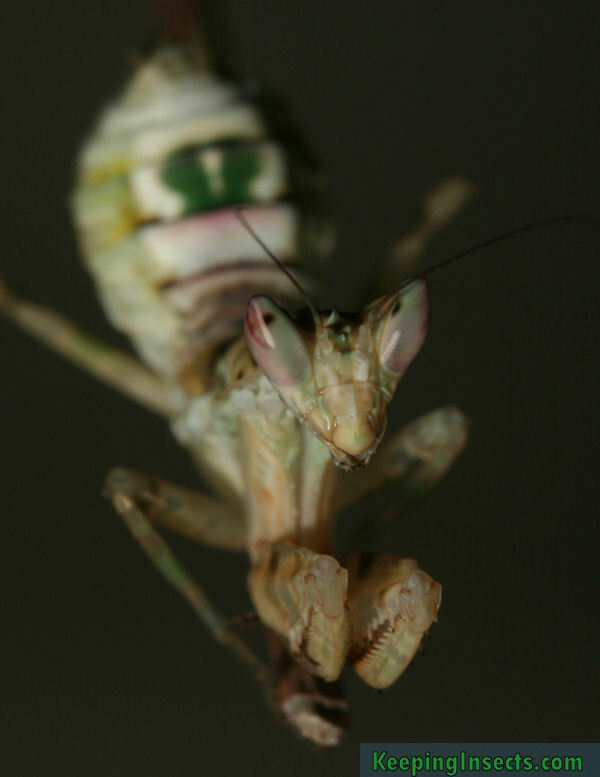 I received some beautifull pictures of a Chinese Mantis from Robert Smith. 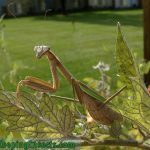 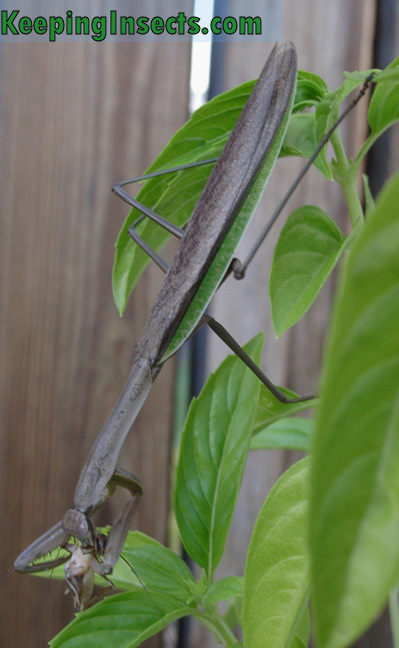 He made the pictures in his potted garden where a wild female Chinese Mantis took residence. 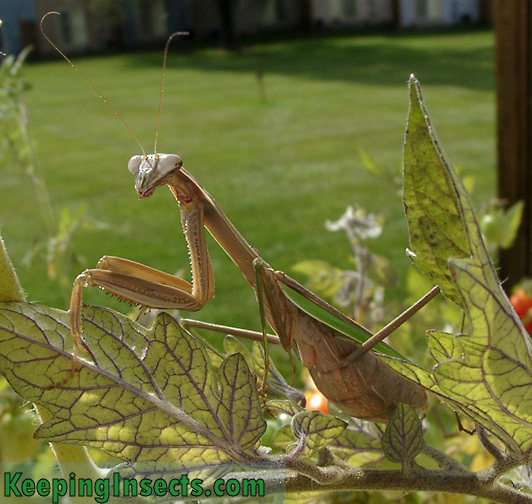 She is beautifull and already produced one egg sac. 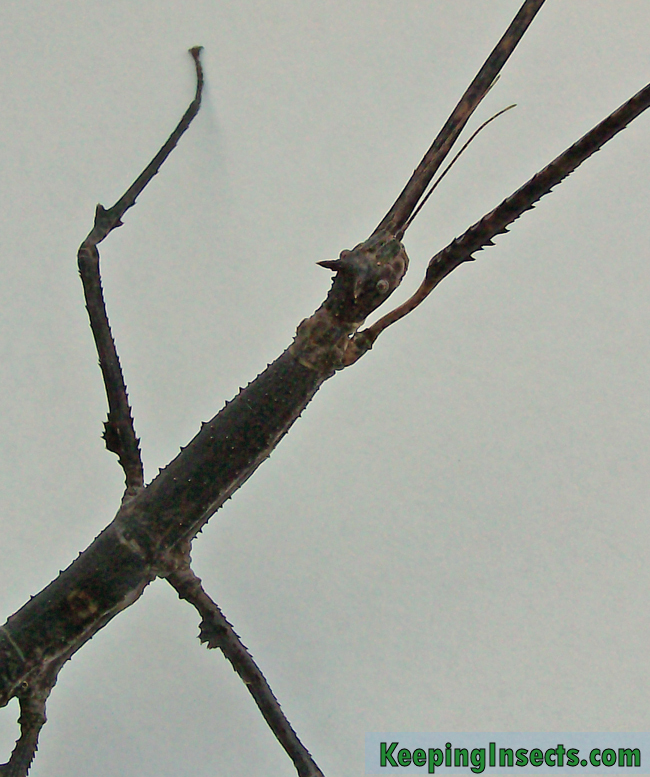 How about a stick insect species in which the female has horns? 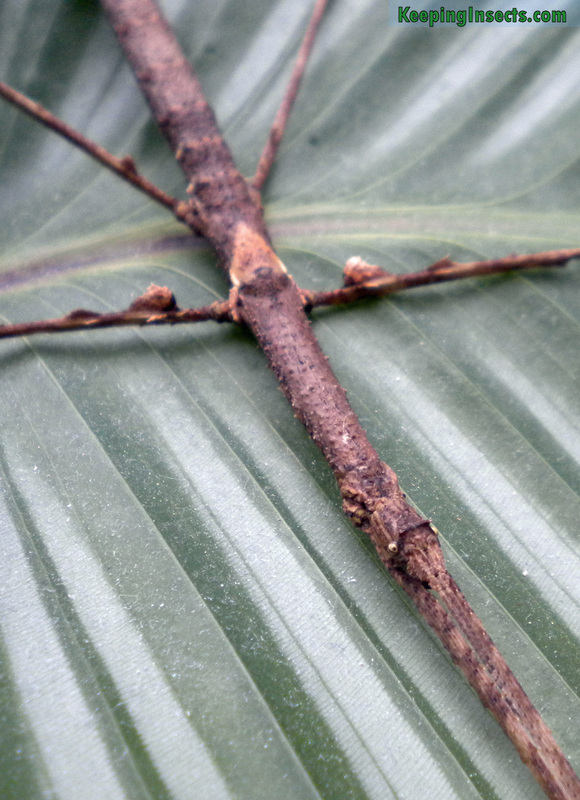 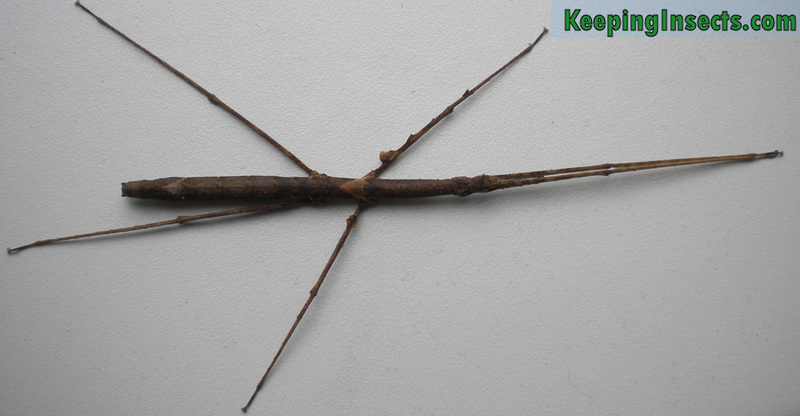 Meet the Annam Stick Insect. 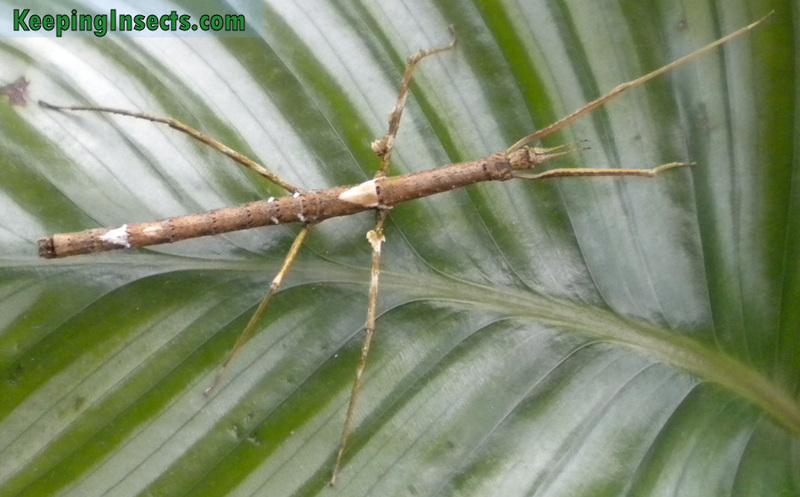 Adult males are just boring with a smooth skin and thin body. 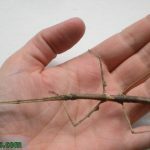 But the females, no! 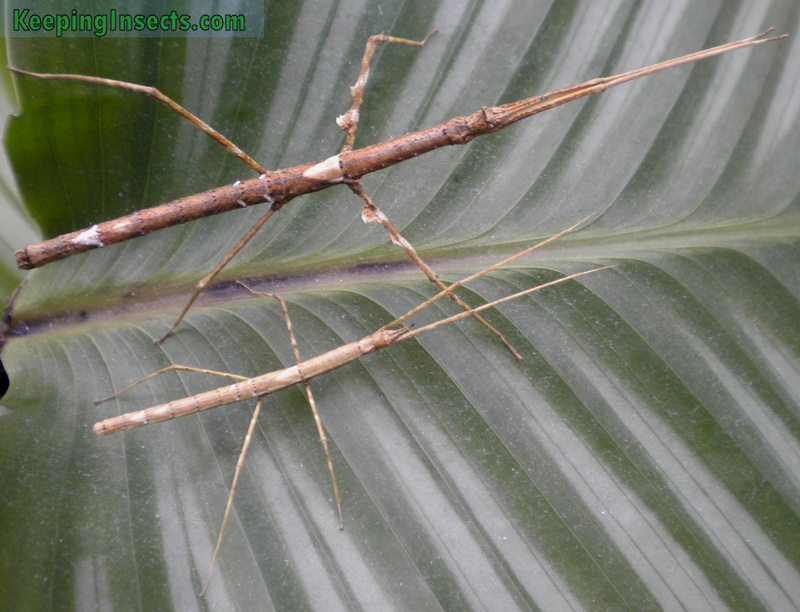 They look like they are made of wood and have two funny horns at the top of their head. 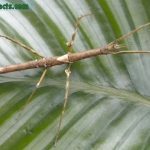 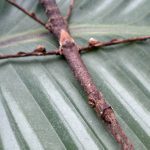 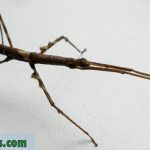 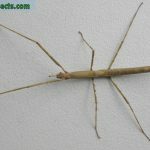 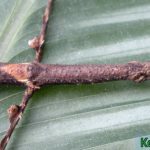 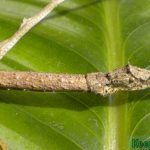 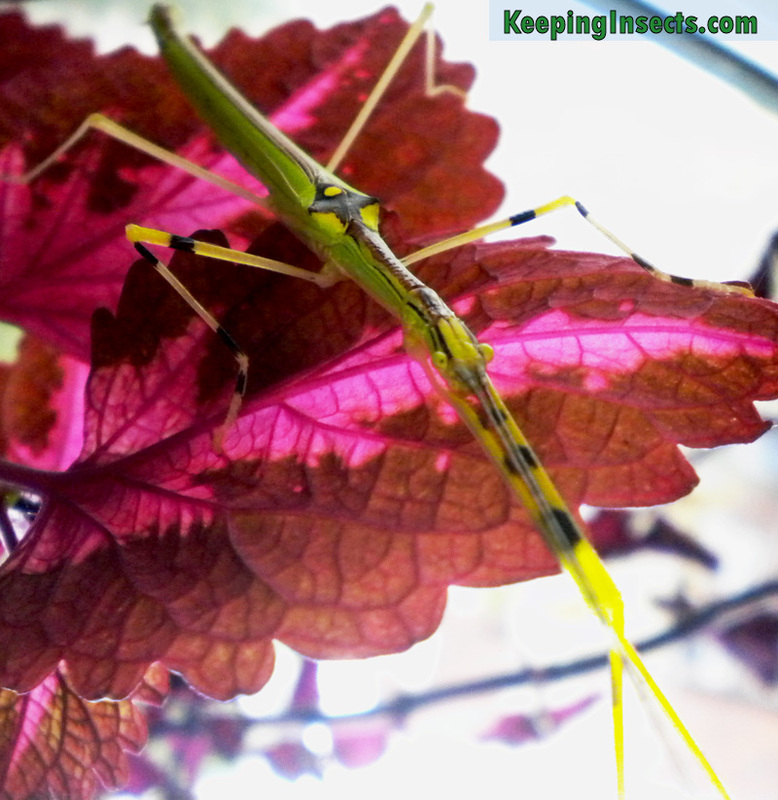 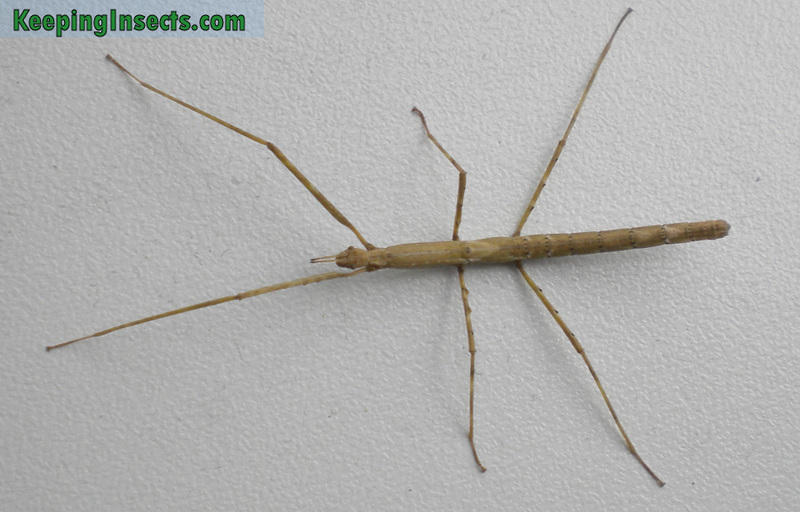 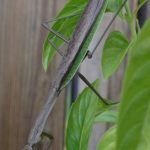 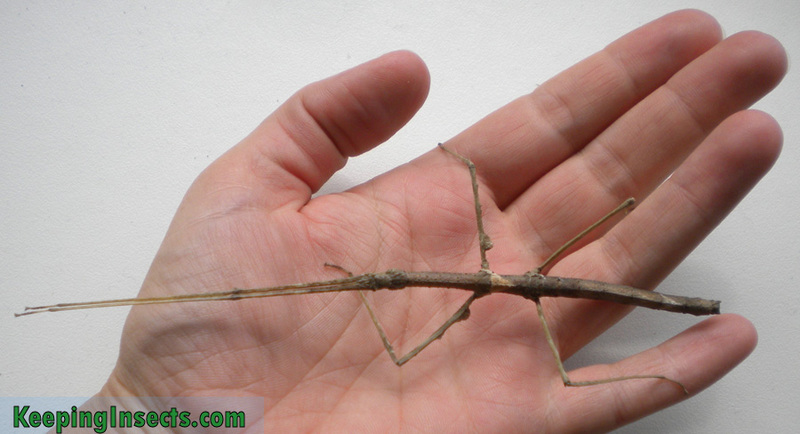 You can read all about this species and how to keep it as a pet on the Annam Stick Insect page.